There's a wonderful sinisterness to your Lex Luthor that we haven’t always seen in your roles. What's the secret to creating such nastiness? Oh, thanks! I definitely want this Lex to have the humor and the irony and the dryness that are always underlining his villainy, and I really wanted to keep it grounded and deadly. If I could take a step back, what was your earliest exposure to DC? I used to watch the 1950s Adventures of Superman show, which was on every day after school when I would get home from kindergarten and first grade in the early '70s. That’s how old I am. [Laughs.] So I grew up with Superman. I had a lot of Superman comics as a kid. I went more into science fiction and fantasy when I got to be a teenager, so I kind of left comic books behind and went into sci-fi novels and stories, and stuff like that. It wasn’t until Richard Donner’s  Superman film that I got reintroduced to Superman. I think it's one of the great films of all time. I think Gene Hackman’s performance [as Lex Luthor] is Oscar-worthy, and kind of paved the way to all of the super-villains afterwards. Before him, the only villains we really had were the James Bond villains. They took themselves very seriously, with big scars and eye patches and giant laser beams, but they weren’t a lot of fun necessarily. Over the years, has Gene Hackman remained your favorite Lex? Oh, absolutely. Yeah. There have been some other good ones, but he’s the gold standard. The Lex standard. Well, I know this sounds kind of corny, but I actually kind of personalize it. A multi-billionaire, super genius, smarter than anyone else on the planet... With any kind of technology he wants to go into, he has a greater working knowledge than any PhD working in that specific industry. Then there's this fatal flaw of his, a kind of narcissism and high self-regard; and his condescension toward people not as smart as him, his insecurity of always needing to prove his intelligence. He’s not someone who’s just just confident in their intelligence and they just kind of rest of their laurels. He’s always needing to prove it. So it’s really fun to play with those character’s fatal flaws. Just to imagine what that would that be like, and how is that similar to me. And how can I bring own personal experience into that?" I’m not trying to sound like I’m all method actor, but that’s where the fun of acting comes in. Just playing with those big human ideas behind what you’re doing. And it was fun reading the script, preparing, looking at the lines, and trying to make them my own, playing off of them, improvising off of them, bouncing notes around with the guys in the booth. Just trying to bring it to life and have it sound like something you haven’t heard before. You mentioned you were a big sci-fi and fantasy fan as a kid. What did you geek out over? I think one of my favorites early on was Conan the Barbarian. I loved all the Conan books, the original Robert E. Howard, and a lot of the subsequent books. I don’t think that any of the Conan movies have gotten it right. I think Conan the series is much smarter. It’s not just about a beefy guy skewering people. He’s actually a pretty canny guy. There's a lot of dark magic. It’s kind of this barbarian in this strange land, without a lot of tools. I wish they would really figure out how to do Conan right. There was a series called Fafhrd and the Gray Mouser. Oh yeah, by Fritz Leiber. Yeah, Fritz Leiber. That would be a great series of movies. I really liked Michael Moorcock and Elric of Melniboné. That’s a great series too. It's got almost a cyberpunk feel to the sorcery stuff. There’s so many. There’s a lot of gems there from the '70s and '80s that would make great source material for a show like Game of Thrones, or an animated or feature film. That’s the kind of stuff that I spent my teenage years diving into. You have excellent taste. You’re naming some of my favorite books. [Laughs.] Getting back to Lex, would like to see yourself returning to the role? If so, if there’s any direction you would like to see Lex go? Well, I would love to do more Lex. It's a super fun role to perform. Just a joy to do. I love what they’re doing with these DC films, in the DC Animated film universe. 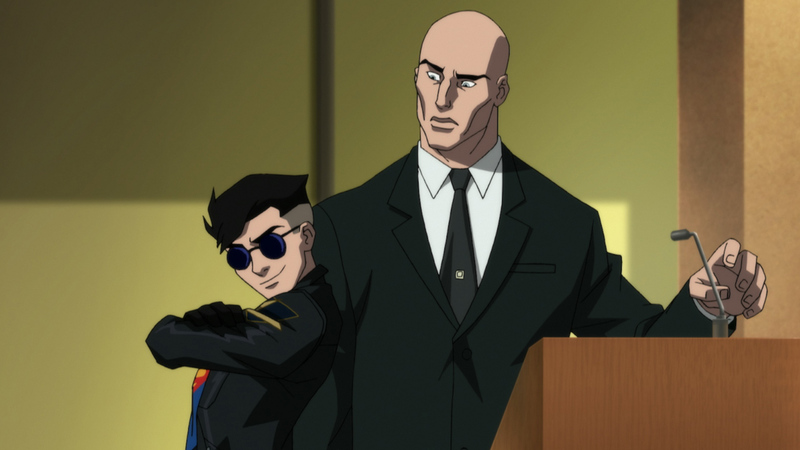 There’s so many different ways to take Lex Luthor, and that’s what’s really exciting about him. I like that little tease at the end of this current movie that shows Lex and Justice League kind of working together, or potentially working together. I like that idea of the Justice League and Superman needing Lex. Not completely trusting him, but needing him. And him wanting to work with them, and also not really trusting them. That’s a really fun road for the stories to go down. In some ways, Lex isn't so much a villain as a misguided hero. Yeah, he is. I see him as a superhero with just a giant fatal flaw, his narcissism. But he’s not that far from Tony Stark when you think about it. He just would never make an Iron Man suit because it’s too demeaning, and he would get so sweaty inside of it. Come out, he’d have to take a shower! It’s like, "No, no. It would smell in there." You could totally see Lex being that kind of superhero. Thank you so much for your time, Rainn. 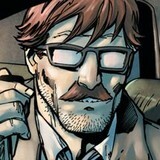 We look forward to seeing you again in the DC Universe. Oh, thanks man! I really appreciate it. A joy talking to you, thank you. What do you think of Rainn Wilson's Lex Luthor? Let us know in our Community!